John Dunning is a man who can see the dead, some believe his gift others on the other hand think he is a fraud. His gift will soon be put to the test though as he is hired by the battling Bellvue family. John must investigate the mysterious death of the last heir to the Bellvue empire, tagging along in his investigation is Valerie Kreuger, a journalist who wants to have a breakthrough story. Their joint investigation soon sees John become a bigger target not only from those in power, but also someone from the dead won't leave him alone. Will John find the truth before he loses his mind or worse....end up dead himself? This is writer/director J. Van Auken's debut feature film and it is an exceptional debut that he should be very proud of. Van Auken also plays the part of John Dunning and it is a performance that is both emotional and powerful to watch. While the idea of a psychic investigator is nothing new, there is something special about the film. 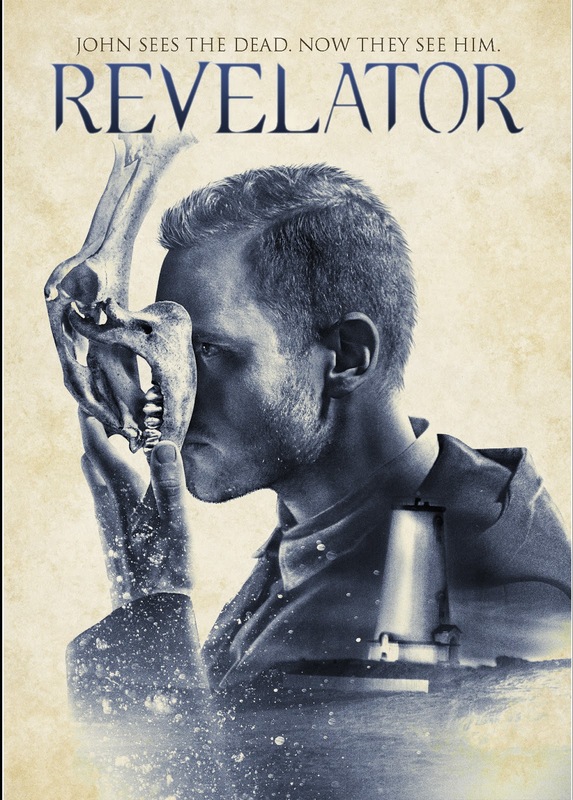 REVELATOR is best described as a horror mystery that has a distinct atmosphere about it and is full of twists and turns that keep you thinking right upto the closing credits. For a film that is nearly two hours long it goes by quick, which just shows the strength of the story told. Highly recommend if you are a fan of investigative horror films or enjoyed the Patricia Arquette T.V. series MEDIUM.